Caitlin has the pleasure of utilizing both her organizational leadership and therapeutic skills for the greater good of the community. While collaborating with a network of like-minded practitioners, Caitlin developed a team approach to client care through Evolve: The Soul School, which stands on the principle that each human is intrinsically whole and is connected to a higher power. 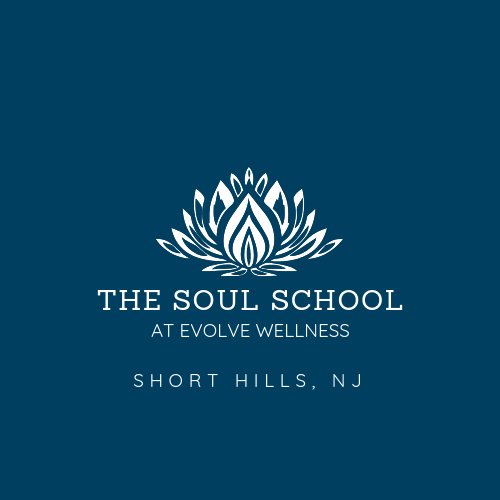 Located in Short Hills, NJ, The Soul School teaches that there is nothing new offered that you don't already "know" or "have" deep within. Students are simply invited to "unlearn" the limited beliefs you've come to accept about yourself and your world around you. It is their mission to reflect back the beauty and truth within each student. Click here to learn more about upcoming classes and events!